Games for Change (G4C) is proud to announce the launch of the 2nd annual G4C Student Challenge in NYC, Pittsburgh, and Dallas for the 2016-2017 school year. This year’s programs features three new themes — Local Stories & Immigrant Voices, Climate Change, and Future Communities — along with a new lineup of partners and student events. 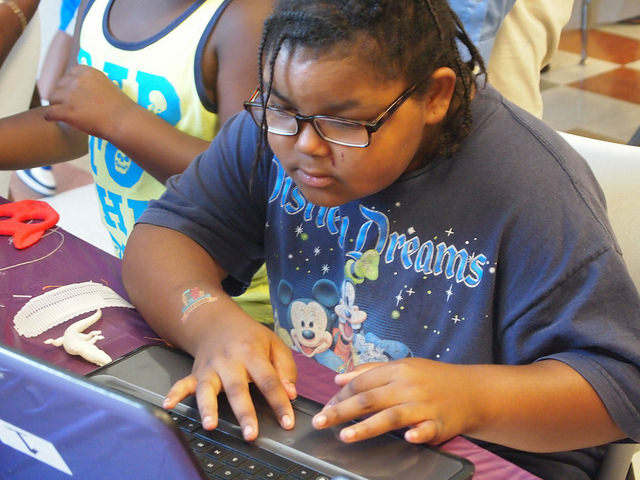 The Challenge is being implemented through a consortium of national partners, including Mouse and Institute of Play, and local partners in each city (The Sprout Fund in Pittsburgh and Big Thought in Dallas) with generous support from the Best Buy Foundation, National Endowment for the Humanities and the HIVE Digital Media Learning Fund in The New York Community Trust. Future Communities – supported by Current, powered by GE: Games about how smart technologies and infrastructure can improve urban life and empower citizens, with participation from the city governments in NYC, Dallas, and Pittsburgh. ← Pump up the volume! More talking in class, please!